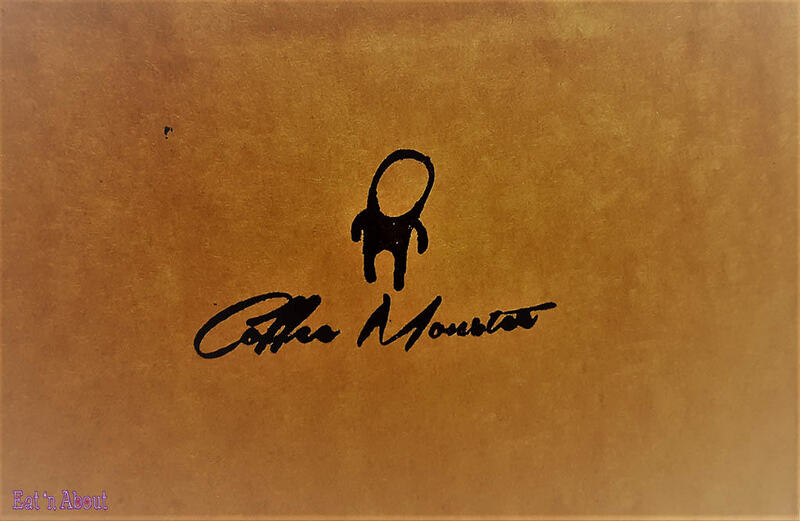 I remember wanting to visit Coffee Monster for a while now but it had fallen off my radar, but feeling like dessert one night, I googled what’s in the area and Coffee Monster popped up. So AngryRussian and I took a walk there to see what they had to offer at 10:00pm on a Friday night. I had in mind to get some sort of sponge cake to share. AngryRussian wanted a drink too, so without much arm-twisting I got one too. The one with the beautiful heart latte art is my Spanish Latte ($4.75 for a 12oz). What makes it “Spanish” is using condensed milk instead of regular milk. Honestly though aside from it being a bit sweeter (even though I asked for half-sweet) I didn’t notice any difference…not especially creamy or whatever. It still tasted good though. On the right with the debatable design (I said it was a failed heart, AngryRussian, being the good-hearted man he is, gave them the benefit of the doubt and said it was a leaf), was the Mocha ($4.95 for 16oz). I only had a sip. It wasn’t especially chocolatey either but still was a decent drink. As for the cake selection, there were mostly cheesecakes and a few sponge cakes (Strawberry Shortcake and Matcha Sponge). The sponge cakes didn’t really look appealing, so I switched my attention to the cheesecakes instead. There were slices, and there were crust-less ones in mason jars. If you were to get takeout for the mason jar ones, you have to pay a $1.50 deposit which you’ll get back when you return. 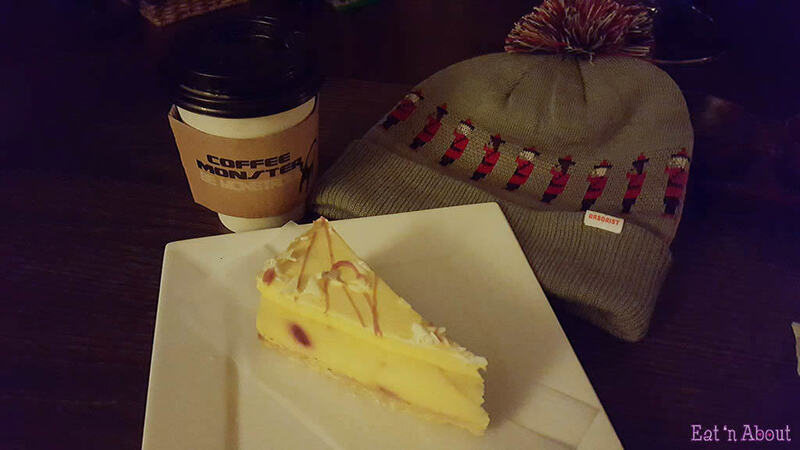 I picked the Mango Berry Cheesecake ($6). This was unimpressive and lacked the depth of cheesecake flavor I yearned for. The cheesecake layer was topped with a weird dense spongey-whipped cream layer. Overall it had more berry flavor than mango. And honestly just didn’t take like cheesecake, more like a really dense mousse cake, and I loathe mousse cakes =(. $6 for this was pretty poor value. 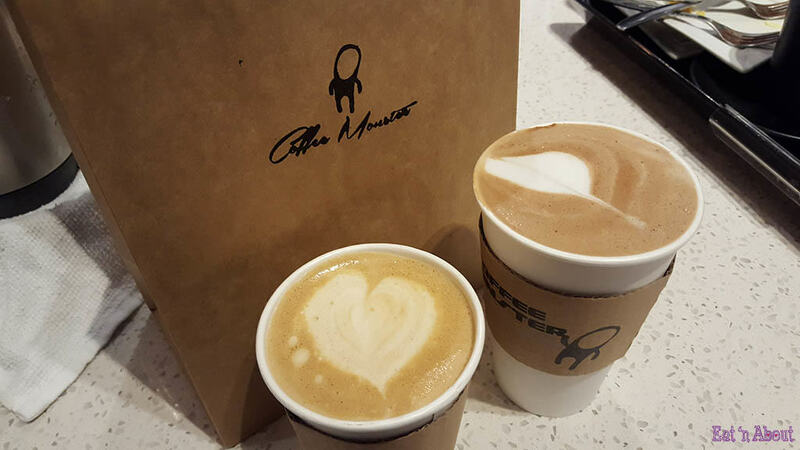 I would say Coffee Monster’s decor was very nice and pleasing, but that’s about it. Service was also nice and courteous but not especially friendly.